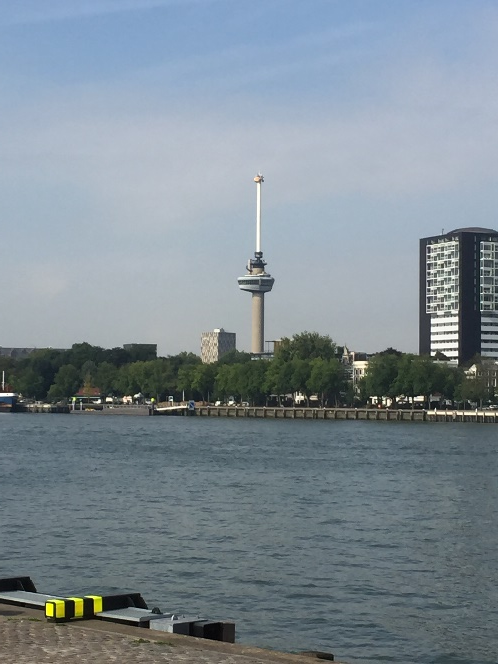 After your driver picks you up at your hotel in Amsterdam, you will be driven to the City of Rotterdam known as one of the largest seaports of Europe. We will stop at the Spido Boatcompany for a trip of 75 minutes among the busy traffic of sea-going and inland ships, this trip is a special journey through one of the largest harbours in the world. You can see Rotterdam's impressive skyline with its imposing buildings glide by, and then get a unique view of the harbours shipyards, docks and the hypermodern transshipping of thousands of containers. Last but not least the tour will end with a view of the steamship 'Rotterdam', the former cruise flagship of shipping company Holland America Line. After our visit at the market square we will drive to the famous delft Blue pottery factory, you will get a chance to see the factory where the world-famous Delft Blue Pottery has been produced for over 350 years. We offer our visitors a free tour of our factory. 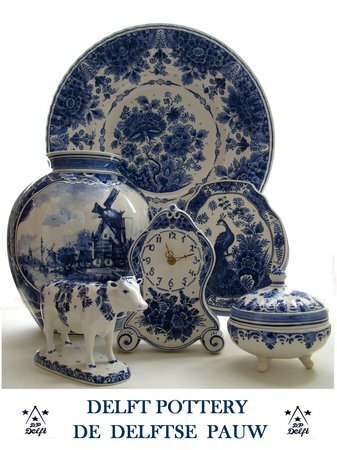 During the tour of the factory you can learn everything about Delft blue that you need to know. You'll get to see how the products are hand-made and how that particular color blue is made. After our visit ath the delft blue factory we will drive to The Hague which is the political capital of The Netherlands Here you find the Royal Residence, Mauritshuis were you will find a government collection of 841 public art objects, with works by Rembrandt, Vermeer and Holbein the Younger. the Peace Palace and “het Binnenhof”. 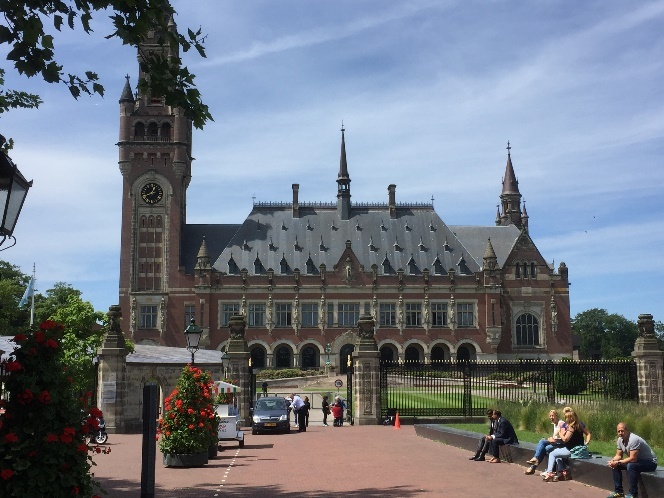 The buildings of het Binnenhof, such as the “Ridderzaal” (Hall of Knights), the First and Second Chambers of Parliament and the Prime Minister’s “little tower”, are well worth seeing. Lastly, your driver will drop you off at the miniature city Madurodam . Where is the small Netherlands large in? That you discover in Madurodam! View all you can see, do and experience in the park. Afterwards, your driver will drop you off in Amsterdam at the location of your choice. Your driver will pick you up at your Amsterdam hotel and drive you across the Belgian border to the ancient town of GHENT. The city has a long history, dating back to pre-Roman times, and was one of Europe’s biggest cities until the 13th century – a fact reflected in modern-day Ghent architecture. You will have a few hours to explore the city’s beautifully preserved medieval streets, and after a short coffee break (perhaps with some traditional Flemish pastries!) you will be on your way once again. Discover the enchanting city of Bruges Bruges with an unforgettable Tour! This fairytale town stands prominently on the UNESCO World Heritage list. The Bruges Tour takes you on a tour of the charming old town, with its beautiful canals, ancient streets and beautiful medieval architecture. During the Bruges Tour you also get time to Bruges to discover at your own pace, go shopping and enjoy the excellent beers and famous chocolate. Get cheap tickets for the Bruges Tour! Discover Bruges Belgium during this fantastic tour! Bruges is one of those cities you simply must visit. The Bruges Belgium Tour departs in the morning from yoyr Hotel. you travel to Bruges by a luxury minivan , on request we ca narrange a guide for a guided tour through the picturesque historic centre. Enjoy a fun guided walk through this beautiful and unique medieval city, which was once the commercial capital of the world. 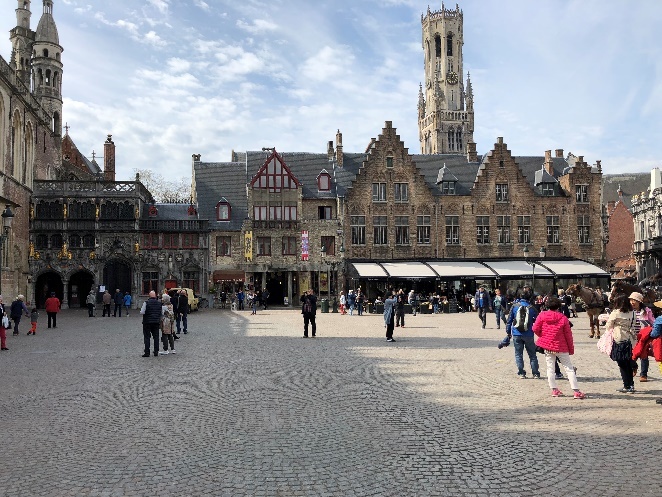 Some highlights of this Belgium tour include the Beguinage, the Basilica of the Holy Blood, the Sint-Salvator Cathedral, the 12th-century belfry of Bruges and the Grand place. The square is also home to a charming world famous Christmas market during the Christmas holidays. The Bruges Tour is a day tour, where you also have the opportunity to own the city. Enjoy traditional Belgian beer in a bar, sit down for lunch at one of the cozy restaurants or go looking for the famous chocolate. This exciting Belgium tour has a duration of about twelve hours , including travel time. After your driver picks you up at your hotel in Amsterdam, you will be driven to the nearby city of Lisse were wel will first visit the Tulip farm after our visit at the tulip farm we will continue our journey to the Keukenhof, the best day out among the flowers! Over 7 million bulbs will bloom this spring, with a total of 800 varieties of tulips. A unique, unforgettable experience! Besides the spacious 32 hectares of flowers you can enjoy the spectacular flower shows, surprising inspirational gardens, unique art and wonderful events. Do not miss the Tulip mania exhibition at the Juliana Pavilion. Keukenhof is also fun for the children. They will have a blast with the treasure hunt, petting farm, maze and the playground. A great day out for the whole family. 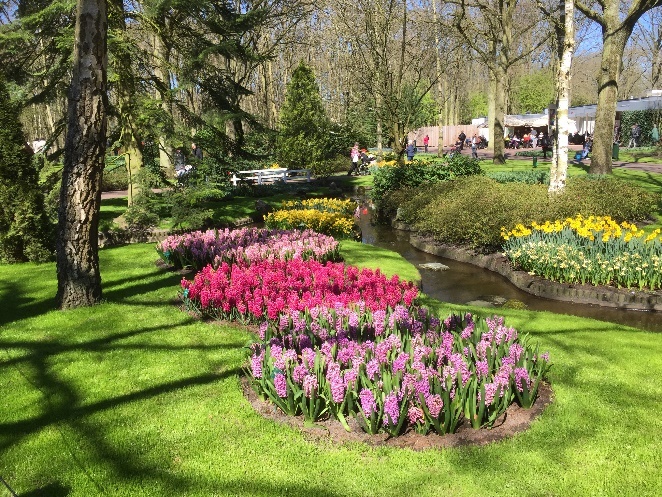 Some history: The history of Keukenhof dates back to the 15th century. Countess Jacoba van Beieren [Jacqueline of Bavaria] (1401-1436) gathered fruit and vegetables from the Keukenduin [kitchen dunes] for the kitchen of Teylingen Castle. Keukenhof Castle was built in 1641 and the estate grew to encompass an area of over 200 hectares. Landscape architects Jan David Zocher and his son Louis Paul Zocher, who also designed Amsterdam's Vondelpark, redesigned the castle gardens in 1857. That park, in the English landscape style, still constitutes the basis of Keukenhof. n 1949 a group of 20 leading flower bulb growers and exporters came up with the plan to use the estate to exhibit spring-flowering bulbs, signalling the birth of Keukenhof as a spring park. The park opened its gates to the public in 1950 and was an instant success, with 236,000 visitors in the first year alone. 2019 will be the 70th edition of Keukenhof, with Flower Power as its theme. During the past 69 years Keukenhof has developed into a world-famous attraction. 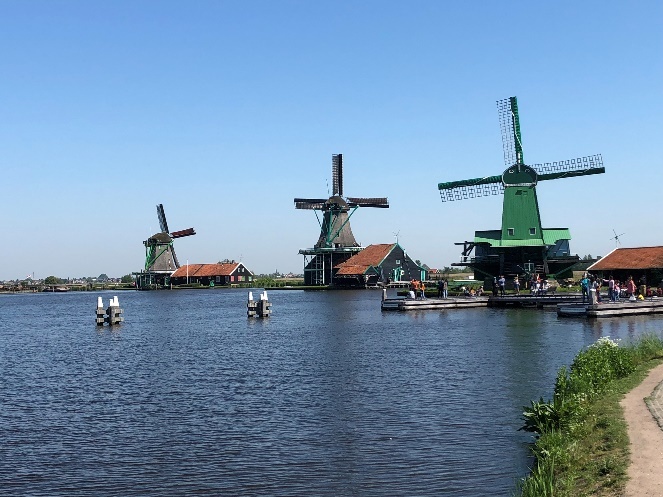 The tour starts with the most famous windmills of Holland, just a short drive tot he north of Amsterdam we reach the Zaanse Schans. The Zaanse Schans is a open air museum with the famous dutch windmills. You can visit a spice mill and smell the exotic spices of the Dutch East Indies or one of the other windmills as The young sheep sawmill, The cat windmill that makes paint out of stones, The Seeker windmill that makes peanutoil and ofcourse the old wooden houses. After our visit at the Zaanse Schans we will drive via Edam tot the Irene Hoeve in Katwoude The Irene Hoeve Cheese Farm has been built almost two centurie sago, it has always been a cheese farm. In 1986 the farm has been rebuilt on the old foundation and in exactly the same style as before, the famous "stolp".The farm has been been doing cheese and clogmaking demonstrations ever since. 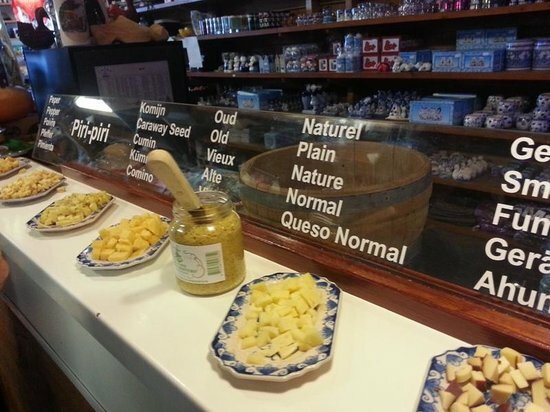 Learn about one of the famous types of Dutch cheese, Gouda cheese.This farm also houses one of the very few remaining professional wooden shoe makers of Holland. He will demonstrate how they are made out of fresh logs and explain why many people still wear clogs in Holland and ofcourse after you have seen the demonstration of the making of the wooden shoes it is time to tast some different kind of cheeses. From Katwoude it is only a 5 minutes drive tot he famous fishing village Volendam. one of the oldest fishing villages in Holland. Walk up the old sea levee and see the IJsselmeer (former Southern Sea) stretch out over the horizon. 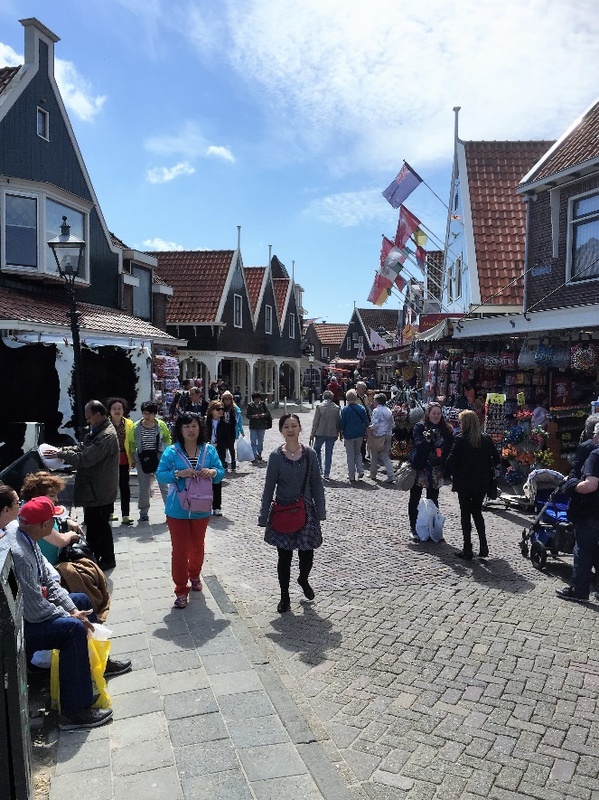 Volendam is the place to try Dutch seafood dishes. Try the typical dutch herring with onions and pickles, kibbeling (pieces of fried cod) or smoked eel After lunch explore the ‘Doolhof’, literally the Maze. This is where the fishermen lived with their families in a labyrinth of alleyways and tiny houses. These are some of the smallest houses in Holland: imagine the inhabitants sleeping sitting up because of the lack of space! From Volendam it is possible to take the boat to marken the trip will take about 30 min were youre driver will pick yo up to bring you back to your hotel.